Do you remember going to a Pizza Hut as a kid? My family would go at least once a month. We’d go to the one down on Topsail Rd. I remember the warm-lit booths. The salad bar. The arcade games. I remember going often with just my momma because Daddy was out to sea. Often my mother would take a group of my little friends. And sometimes it was just our family, when Daddy was home. I loved Pizza Hut. And I believed that my body was a garbage disposal, that it could deal with anything I consumed! Including many slices of a supreme pizza and a bacon bits smothered salad drenched in ranch dressing. I see the buttermilk (fourth on the list?) and garlic and spices. But what the halibut is all the rest of that stuff? Soybean oil? HFCS? Polysorbate 60? This is not the ranch dressing of my youth! 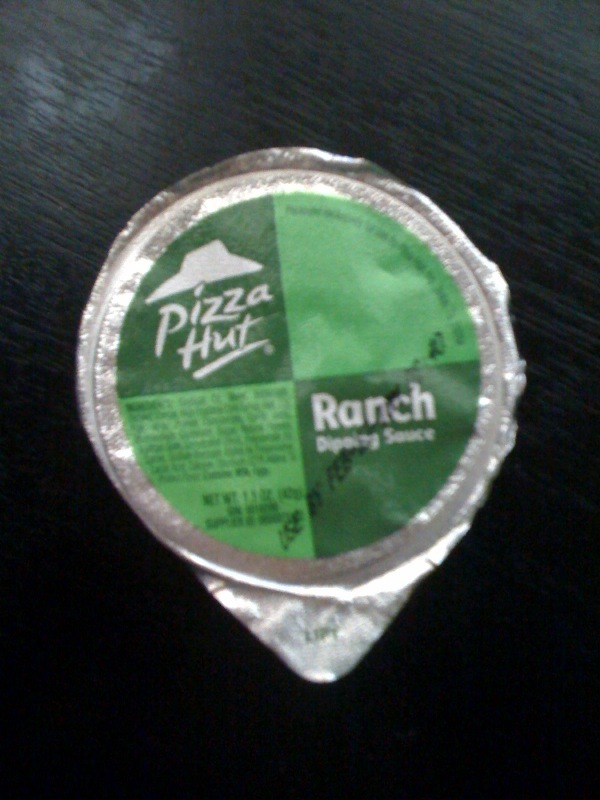 Now, truth be told, I haven’t had real ranch dressing in years. Or fake ranch dressing for that matter. I’ve been too afraid of a high fat diet. But what I have been consuming, to the best of my ability, is real food. Real buttermilk (no seriously!) and real sour cream (crème fraîche).